iDeeli, the members-only shopping website in its first year of sponsoring Mercedes-Benz Fashion Week, will use social media to give the site's 2.9 million members unprecedented access to the runway shows at New York's Lincoln Center this week. As an official sponsor of MBFW, ideeli.com will host a series of events, editorial coverage and activities, taking place over the eight days of shows. "As an official sponsor of Mercedes-Benz Fashion Week, we're thrilled to bring all the glamorous excitement of this week long event direct to our members," says ideeli's executive director of brand marketing, Tamara Rosenthal. "This is fashion week, ideeli-style." Daily sales curated by the ideeli editors and featuring select picks from the very same designers showing throughout fashion week, including Betsey Johnson, Custo Barcelona, Prabal Gurung, Nicole Miller and Tadashi Shoji, among others. Each event will be timed to go live on the same day the designers are showing at Lincoln Center, and will feature looks you can buy and wear now, or add to your wardrobe for seasons to come. The sales go live at 11am each day (for First Row members, at noon for everyone else) and will last up to 40 hours or until sold out. Mercedes-Benz Fashion Week Pick of the Day: ideeli's key blog feature gets a runway-ready makeover, spotlighting a top pick from the MBFW Designer suite of sales each day. The Beauty Beat will deliver the beauty 411 from in and around the shows, including the latest on makeup trends, the visionaries who create them, and how to get the looks yourself, as brought to you in savvy style by guest beauty blogger and pro makeup artist Felicia Walker Benson (ThisThatBeauty.com, ONMAKEUP Magazine, ESSENCE.com). 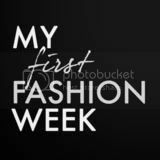 ideeli premieres a brand new editorial series, "My First Fashion Week," where one up-and-coming blogger serves as a first-time fashion week correspondent, allowing members to follow along as she jumps into the fashion trenches and shares all of her adventures (and misadventures) along the way! Noel Duan (NoelDuan.com, MissCouturable.com) will serve as My First Fashion Week's inaugural correspondent. Noel has been named a Blogger of the Moment by Teen Vogue and featured in Seventeen magazine. Follow her forays and foibles all week on the ideeli blog and on Twitter and Facebook. ideeli will also host a number of polls, contests and conversations with members on Facebook and Twitter around new trends and news from the shows. Themed giveaways include "First Row" membership upgrades, fashion week survival kits and a Mercedes-Benz Fashion Week VIP Getaway to NYC.